It doesn’t seem to bother them that hell, in their view, is a mythical place. Put it down to the era of perennial offence. People seem so keen to sniff out conflict in the form of being offended by something and someone, no matter how absurd. And Folau’s comments are absurd. In the Instagram post, Folau stated that “hell awaits” drunks, homosexuals, adulterers, liars, fornicators, thieves, atheists and idolaters. The Wallabies and Waratahs back urged that “sinners” had time to “repent”. Rightly, most gave the commentary what it deserved and that was to deride it as ridiculous and ignorant. However, some people’s argument that Folau wasn’t free to express his discriminatory views was wrong. He’s entitled to freedom of speech and freedom of religion. If Folau refused to pour someone a beer in a bar because they were gay, then that would be discrimination. But in this case, he was airing what was predominantly regarded as a foolish opinion. His right to air it, though, should be respected. It’s also important to note that Folau posting his views on social media that didn’t aim to incite violence or assault against any of the so-called ‘sinners’. If he had fired up people to put a right hook on the next gay person they saw in the street or kick adulterers they know in the nuts, then that would be reprehensible. It’s a crucial distinction to make. 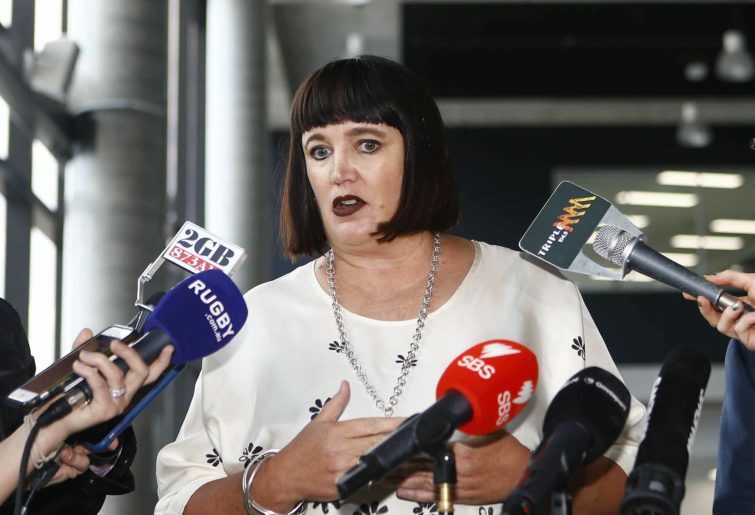 And while Folau’s right to freedom of speech should be respected, airing his views also comes with consequences given he represents a commercial entity – in this case, Rugby Australia. As much as it’s laughable that many of those offended wouldn’t believe in hell anyway, there was an inference that homosexuals are in some way inferior. His language was in bad taste, and it should be criticised, especially as Folau is popular and influential to younger fans. But to sack him – and it was reported last night that RA boss Raelene Castle intends to do so “in the absence of compelling mitigating factors” – would be too heavy a punishment. After his controversial “Gays to Hell” social media post a year ago, Folau deserved censure from Rugby Australia. This time, he should cop a suspension. He’s stuck his middle finger up at RA. Folau seems intent on testing whether in a World Cup year the national body – with the Wallabies struggling and the administration unconvincing in tough times – have got the courage and conviction to axe perhaps their biggest playing asset. Folau needs to realise he’s representing RA and their imperative is to preserve their image. Folau doesn’t seem like a malicious person, but he’s happy to air some rude and boorish views. You know what would make an appropriate punishment? Give him some community service involving coaching a gay rugby team such as the Sydney-based Convicts. Now there’s a project with the potential to produce a decent redemption story. That would be more meaningful than say a straight three-month ban, and more powerful than a sacking. What’s to say Folau’s eyes can’t be opened and he can change his views? If RA are feeling the squeeze to sack Folau because of the pressure being applied by one of their major sponsors, Qantas, then that would be farcical. Qantas, both last year and yesterday, have publicly condemned Folau over his social media posts. “These comments are really disappointing and clearly don’t reflect the spirit of inclusion and diversity that we support,” a Qantas statement said yesterday. Qantas said last year the company placed emphasis on “tolerance and inclusion”. As it’s been noted, this is a weak stance given its partnership with Emirates. This is an airline owned by the government of Dubai, part of the United Arab Emirates, where homosexuality is considered a crime punishable by penalties including imprisonment, chemical castration and even death. Inclusion, eh? Diversity and tolerance? 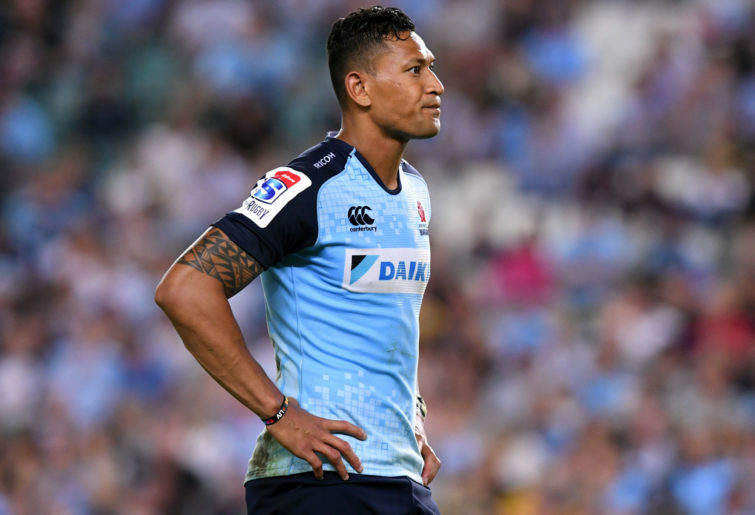 Until they can respond to why they have committed to an alliance with Emirates in such prompt fashion as they expressed their horror over Folau’s posts, then they should stand clear of any moral debates. The hypocrisy is stark. Folau has thumbed his nose at Rugby Australia and some kind of punishment needs to be handed out over his insensitive and ignorant comments. But to sack him would be too harsh. Some people are ravenous when they sense they can take a scalp. But let’s take a breath and remember he hasn’t been violent or incited others to be. Actions speak louder than words. Send him to coach the Convicts for the next three months and let’s see what kind of decency towards homosexuals he’s capable of after that. In the meantime, if his views are too abhorrent for you to cop on social media: unfollow him.